The transition into a boarding school abroad can be daunting and even scary. Below, two Brillantmont students from Spain and Russia share their advice for incoming children. 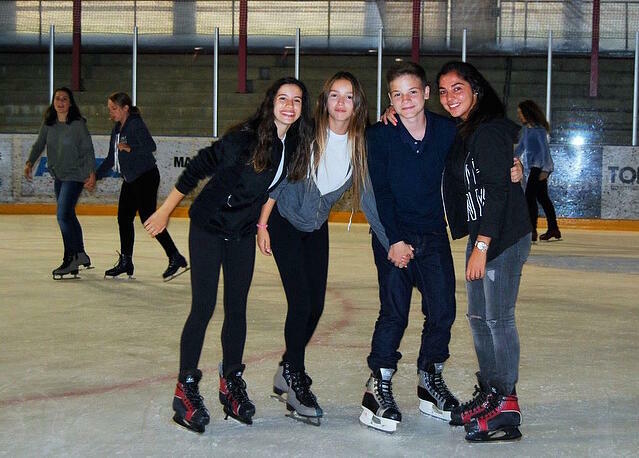 After being almost three years at Brillantmont, I would recommend new students to enjoy their time by getting to know people from all the different nationalities that are found within the school. It's unbelievable how much you can learn about different cultures and you can practice a language you're learning at school with someone that is a native speaker. You will certainly create strong and lasting friendships. Brillantmont provides a diverse number of activities outside class time. During the weekends, the school offers you the possibility to broaden your horizon by joining trips to other cities, museums and beautiful places in Switzerland. This is a great opportunity to spend time with your friends. I suggest that all new students sign up for as many activities as possible because I assure you that you will enjoy them. Brillantmont takes into consideration all your ideas about extra-curricular activities to satisfy your wants. When you first come to a boarding school you don't realize how many activities you will have access to during your free time. However, Brillantmont will help you to never waste your free time and instead enjoy every moment. To learn more about our programmes and the family atmosphere of Brillantmont, click here.